Centennial, Colorado (April 25, 2017) – National CineMedia (NCM), America’s Movie Network, has named Lawrence Snapp to the new role of Senior Vice President of Corporate Development & Chief Digital Officer. 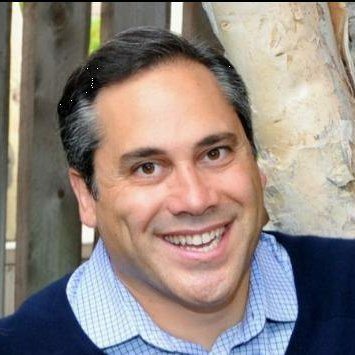 A Microsoft and digital transformation veteran, Snapp joined NCM in September as Senior Vice President of Corporate Development and will lead NCM’s newly formed digital products team focused on delivering innovative consumer experiences and new ways for brands to connect with movie audiences as Chief Digital Officer. He joined NCM from Microsoft, where he created and built its direct retail channel for business customers worldwide, delivering over 100% growth for four straight years. The Microsoft store also served as the exclusive launch channel for Microsoft’s Surface and HoloLens devices. As part of a broader innovation role at Microsoft, Snapp created the Surface Membership program and produced TV and digital campaigns for Microsoft’s Surface, Xbox and retail stores. Prior to Microsoft, Snapp led a business and digital transformation as President of Clipper Corporation, a Chinese-owned wholesaler of products made for companies such as The Coca-Cola Company, Walmart, Yum Brands and McDonald’s. He was also COO at Globestepper Media, a branded entertainment and digital media firm best known for producing theatrical movies for Disney (the Goal! Trilogy) that were funded by over $50 million of investments from brands such as Adidas and The Coca-Cola Company. Earlier in his career, he founded, built and sold ReturnBuy, the largest seller on eBay and a pioneer on the Amazon Marketplace. He started his career as a CPA at PriceWaterhouse Coopers. Snapp earned an MBA from The University of Virginia’s Darden School, and a Bachelor of Science in Accounting from the University of Southern California. He is also an advisor to Wharton’s Future of Advertising program. Snapp is based in Silicon Valley. National CineMedia (NCM) is America’s Movie Network. As the #1 Millennial weekend network in the U.S., NCM is the connector between brands and movie audiences. More than 700 million moviegoers annually attend theaters that are currently under contract to present NCM’s FirstLook pre-show in over 40 leading national and regional theater circuits including AMC Entertainment Inc. (NYSE:AMC), Cinemark Holdings, Inc. (NYSE:CNK) and Regal Entertainment Group (NYSE: RGC). NCM’s cinema advertising network offers broad reach and unparalleled audience engagement with over 20,500 screens in over 1,600 theaters in 189 Designated Market Areas® (all of the top 50). NCM Digital goes beyond the big screen, extending in-theater campaigns into online and mobile marketing programs to reach entertainment audiences. National CineMedia, Inc. (NASDAQ:NCMI) owns a 39% interest in, and is the managing member of, National CineMedia, LLC. For more information, visit www.ncm.com.